Three Lions were selected in Round 1's Team of the Week. Vice-Captain Harris Andrews will step up to lead the side at Saturday's practice match. The Roar Deal: Nick or Mitch Robbo? Harris Andrews is a tall defender/ruckman known as a good user of the ball who can also push forward and provide a target, given his genuine presence in the contest. Was nominated by Brisbane with pick 63 after being part of the club's academy. Can play a variety of roles and has good endurance to go with his strong overhead marking ability. 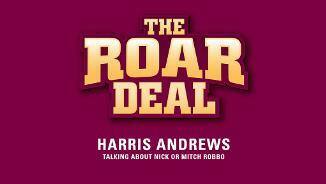 • Harris Andrews is a tall Ruckman/Forward with good endurance, allowing him to work all over the ground. • Along with athleticism, his strengths are his competitiveness, set shots on goal and ability to read the play. 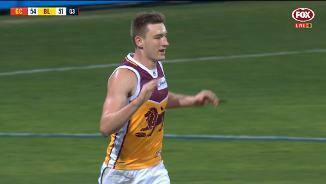 • He has shown considerable improvement in his game during his time in the Brisbane Lions Academy program. 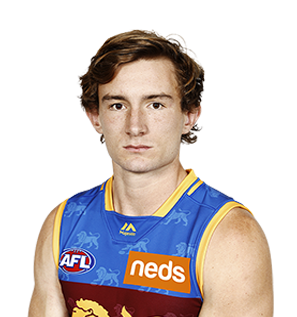 • Harris was nominated by Brisbane as an Academy Selection during the 2014 Academy and Father-Son Bidding at the start of Trade Period resulting in the Club selecting him with their second selection in the AFL National Draft, pick 61 overall. • In just his second year, the 19-year-old was often required to take on the top forwards in the competition. • The big man averaged 10.3 disposals, 5.8 kicks and 4.5 handballs a game, he was also named in the 22Under22 squad of 2016. • Coaches say his leadership went to another level this year and hopefully he can make a step forward in that area again in 2017. • Eighteen months ago, the tall teenager was barely on the national radar; but now, with 17 games under his belt, the 18-year-old defender looks set to develop into one of the games’ best young defenders. • Andrews’ excellent first year form culminated in a Rising Star nomination in Round 18 for his defensive work against the more mature Geelong side. • Signing a contract extension until the end of 2018, from almost nowhere, the Brisbane-raised product has given the club a key position player for the next decade. • For most of 2017, Andrews was tasked with defending the top forwards in the competition and stepped up to each challenge. • He is a reliable teammate and played all 22 games in 2017. 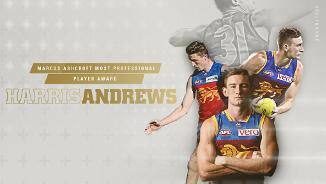 • Andrews' highlights included being named in the AFL Players 22 under 22 team, named in the Lions’ seven-man Leadership Group and being awarded the Lions' most professional player award at the 2017 Club Champion. • Andrews also delighted members in fans when he resigned his contract mid-way through the season until at least 2021.